Serve a healthy salad with your barbecue spareribs. Whether you serve a dinner of rich, tangy barbecue spareribs just once a year or frequently throughout the summer, make each occasion count. Although pork ribs have their drawbacks, namely saturated fat and cholesterol, they are also excellent sources of protein, niacin and hard-to-acquire dietary vitamin D. Beef ribs are less nutritious. 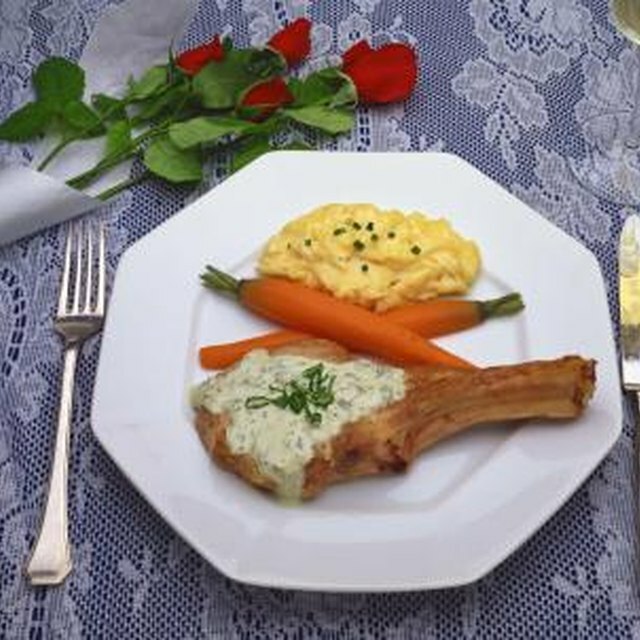 Offer your family and friends the perfect menu to appeal to appetites as well as health concerns. Hitting all the food groups for side dishes will balance your meal and let the ribs be the stars. The perfect pork spareribs have enough fat to keep them juicy and enough of the fat removed to prevent a greasy taste. Braise them in a covered pan in a low-temperature oven for an hour or more to render the fat, and then pour it off before placing them on the barbecue grill. A 3 oz. serving of two or three pork spareribs contains 21 grams of fat and 105 milligrams of cholesterol prior to brushing the meat with a bottled sauce. Family members who are watching their weight or heart health can reduce those numbers by two-thirds by savoring one rib and enjoying lots of healthy side dishes. 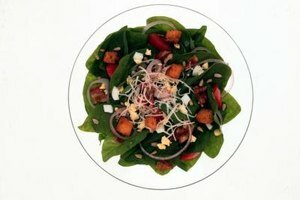 Everyone can indulge in low-calorie, fiber-rich green salad loaded with a variety of vegetables and fruits. In fact, the U.S. Department of Agriculture recommends filling half your plate with fruits and vegetables. A light, appealing salad offsets the richness of pork ribs while providing a host of nutrients not present in meat. Top any leafy greens with crunchy carrots, shredded beets or red peppers for vitamins A, B, and C. Add tomatoes and cooked kidney or black beans for iron, potassium and magnesium. Sliced apples, oranges and grapes are refreshing sources of vitamin C. Choose a bottled light or non-fat creamy dressing that highlights the vegetable and fruit flavors. Minimize your effort and maximize nutrition by serving vitamin- and mineral-rich baked russet and sweet potatoes in their jackets. To make your sweet potatoes go farther, slice them into rounds after baking and place them in a pretty pattern in a pie pan. Drizzle them with melted margarine and orange juice and reheat just before the spareribs come off the grill, for a sweet, kid-friendly side dish. The flavor and sweetness of pineapple come alive when you heat this fruit source of vitamin C and potassium. Use fresh pineapple spears or canned rounds, simply turning them over hot coals as they caramelize. Serve them alongside your pork spareribs or for a festive dessert. Should You Bake Barbecue Ribs Uncovered or Covered?